Design various id cards for students, employees, faculty staff, security staff etc. ID Cards Maker (Corporate Edition) provides Live Group and Batch Processing Mode to generate id cards for group of people using excel data. ID Card Designing Program has various pre-defined templates (ID Card Design) to generate identity cards. Software provides option to add photo, barcode, signature and text on id cards. Program provides various id cards designing objects such as line, text, rectangle, ellipse, triangle, barcode, signature, watermark, and images. Software has Gate Pass mode to create visitors Gate Pass ID card as well as maintain records by adding visitor information to the database. Add photo on identity cards by taking picture using camera settings or by browsing location of image saved on computer desktop or laptop. 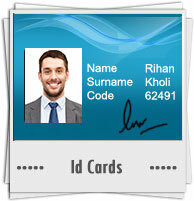 ID Card Maker Tool allows user to create new ID cards or modify existing cards. 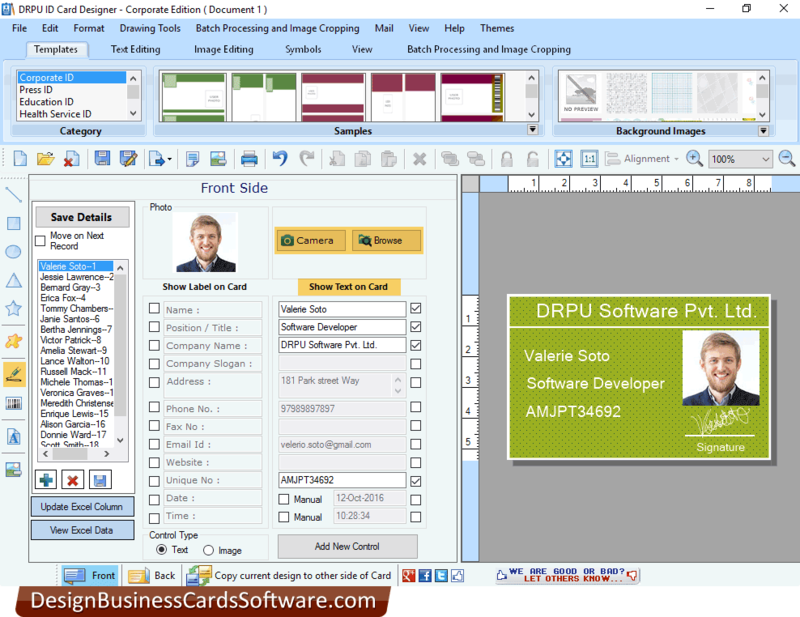 Using Image Cropping Tool you can crop images for id cards. Software has various templates (ID Card Design) to quickly create id cards. Program has facility to design double sided (Front and Back) id cards. You can copy current card design to the other side of id card. Design multiple id cards using batch processing series option. Print designed id cards using Print Settings of software. Program has Email Settings to send designed id cards to single or multiple email IDs.